The science is clear. If the status of marine litter continues unabated, there will be more plastic in the oceans than fish by the year 2050. The science is clear. If the status of marine litter continues unabated, there will be more plastic in the oceans than fish by the year 2050. Currently, the trash in the world's oceans is on the verge of getting to catastrophic levels. The effects on marine life, habitats and people are already being felt. We can reverse this trend by tackling trash at the source and committing not to allow trash into the water. Ocean plastic is harmful to marine life, some are entangled, others choked by bottle caps, straws or plastic bags, many more suffer from blocked digestive tracts while at the same time there is habitat degradation by microscopic particles on the seafloor which interfere with how ecosystems function. In Kenya, Kwale County residents made a commitment for a plastic-free Indian ocean on 15th September 2018. Over 600 volunteers including students, the private sector, government institutions, community groups, conservation groups and locals, joined the rest of the world to clean up the beaches along Kenya’s Southern Coastal strip – from Likoni to Vanga. In line with this years theme, Fight for Trash Free Seas, build-up beach cleanups activities took place in Likoni, Tiwi, Diani, Gazi, Msambweni, Wasini, Mkwiro and Shimoni. 18.123 tons (18,122.96kgs) of trash was collected, approximately three times what was collected in 2017. According to the United Nations Environment Programme (UNEP), approximately 8.8 million tons of plastic waste enter the worlds oceans every year. This is the same as a garbage truck dumping a full load of trash into the ocean every minute. 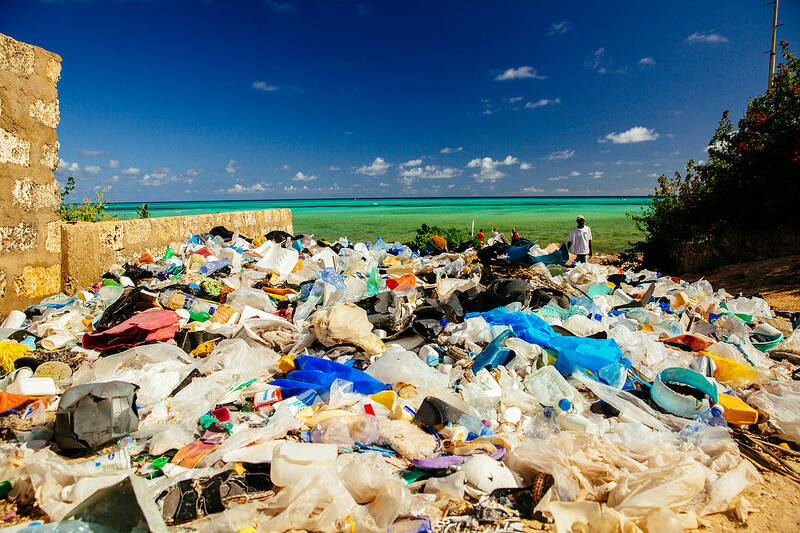 In 2012, the Ocean Conservancy founded the Trash Free Seas Alliance, a coalition of business, science, and conservation leaders like WWF, dedicated to finding solutions to ocean pollution. The Alliance recently helped develop management strategies to stem the tide of plastics entering the oceans. Plastic Is not the enemy. It is how humans handle plastic that needs to change. Apart from plastic materials like flip-flops and old tyres, glass, metal and old pieces of cloth were also collected and will be recycled.